Effective for: Impressing others with a fancy, extravagant cannabis cigar or treating yourself to the entire thing. Shatter Caviar or Temple Balls in the centre. 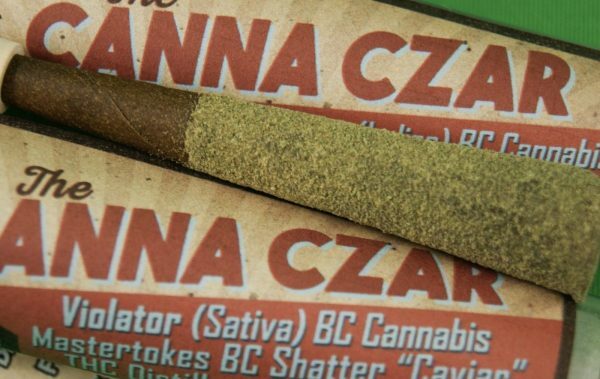 Once rolled, it is coated with THC distillate (98% Extracted, 85% THC) or Gronlabb flower rosin and premium grade kief or Gronlabb bubble hash. 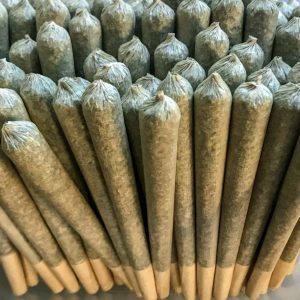 Each one comes with some hemp-wick and a wooden filter tip that makes it easier to reuse as many times as you wish. Feel free to put your Canna Czar back into its container and light it back up it at another time.